We’re delighted to have an outstanding selection of invited speakers joining us at the ACRA 2019 ASM. More speakers will be announced as planning proceeds! Dr. Philip Moons is Professor of Healthcare and Nursing Science at the Department of Public Health and Primary Care at the KU Leuven - University of Leuven, Belgium; visiting professor at the Institute of Health and Care Sciences of the University of Gothenburg, Sweden; and honorary professor at the Department of Paediatrics and Child Health of the University of Cape Town in South Africa. Philip Moons has published more than 280 articles in international, peer-reviewed journals; and presented over 300 abstracts at national and international conferences. 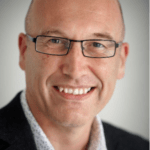 He is mainly involved in outcome and quality of life research in congenital heart disease, and developed and implemented the role of advanced practice nurse in the Adult Congenital Heart Disease Program of the University Hospitals of Leuven. Furthermore, he coordinated large-scale implementation projects on discharge management. The spearhead of Philip Moons' research is ‘Transition and Care’. School of Kinesiology and Health Science, York University, Toronto. Sherry L. Grace, PhD, FCCS holds her primary appointment as Full Professor in the Faculty of Health at York University. She is also appointed at the University Health Network, University of Toronto, as Sr. Scientist with Toronto Rehabilitation Institute’s Cardiovascular Rehabilitation & Prevention Program, and is Director of Cardiac Rehabilitation Research with the Peter Munk Cardiac Centre. Prof. Grace’s research centers on optimizing post-acute cardiovascular care globally, as well as outcomes (including mental health). She has published over 225 papers, and authored clinical practice guidelines internationally. She led the development of the pan-Canadian quality indicators for cardiac rehabilitation, as well as national policy positions on systematic referral and utilization interventions. Prof. Grace has earned awards from the American and Canadian Associations of Cardiovascular Rehabilitation, among other societies. Finally, she was instrumental in the development of the International Council on Cardiovascular Prevention and Rehabilitation, serving on the Executive Board since inception. Dr Robyn Gallagher is Professor of Nursing at the University of Sydney where she leads a team researching secondary prevention of cardiovascular disease. Her focus includes contemporary health technology, cardiac rehabilitation, health literacy and cognitive impairment. Robyn has received national and international awards for her research and her student supervision. She is a Fellow of the American Heart Association and the European Society of Cardiology. She has published more than 140 peer-reviewed papers and 10 book chapters. Robyn is immediate past Chair of the Cardiovascular Nursing Council of the Cardiac Society of Australia and New Zealand, President of the Australian Cardiovascular Health and Rehabilitation Association and Editor of the Journal of Advanced Nursing. Prof Semsarian is a cardiologist with a specific research focus in the genetic basis of cardiovascular disease. He trained at the University of Sydney, Royal Prince Alfred Hospital, and Harvard Medical School. A focus area of his research is in the investigation and prevention of sudden cardiac death in the young, particularly amongst children and young adults. Prof Semsarian has an established research program which is at the interface of basic science, clinical research and public health, with the ultimate goal to prevent the complications of genetic heart diseases in our community. Prof Semsarian is the lead of the Cardiovascular Genetic Diseases Flagship of Australian Genomics. He has published over 240 peer-reviewed scientific publications, in the highest-ranking cardiovascular and general medical journals. He has also been the primary supervisor of over 30 PhD, honours, and medical honours students since 2003, and is an active member of the mentoring program at the University of Sydney, particularly in supporting gender equity. He has led major community programs in the area of prevention of sudden death, including having defibrillators in all public places including sporting grounds, as well as organised programs to teach CPR to all members of the community. Prof Semsarian was awarded a Member in the General Division of the Order of Australia (AM) on January 26, 2017 for significant service to medicine in the field of cardiology as a clinician, administrator and educator, and to the community. Dr. Melody Ding is an Associate Professor at Sydney School of Public Health, the University of Sydney, Australia. She works broadly at the intersection of physical activity, epidemiology and chronic disease prevention. She completed her PhD in public health from the University of California San Diego in 2012 and has successfully brought in around two million dollars of research funding since then. At an early stage of her career, she has published more than 120 journal articles with more than 4000 citations. She led the 2016 Lancet Series on Physical Activity and Health . Much of her work has been reported by the media, reaching more than a billion people from around the world. As a holder of Heart Foundation Future Leader Fellowship and the University of Sydney SOAR fellowship, Melody is building a theme of research on environment and chronic disease prevention among the culturally and linguistically diverse populations in Australia. Clare is a staff specialist cardiologist at Royal Prince Alfred Hospital and Head of the Women’s Heart Clinic. She is a Senior Research Fellow at The George Institute for Global Health, a Senior Clinical Lecturer at the University of Sydney and a Visiting Fellow at the Heart Research Institute. Her clinical and research interests include women’s cardiovascular health, advanced cardiac imaging and cardiometabolic trials. She was awarded a Churchill Fellowship for Women’s Cardiovascular Health, completed at the Mayo Clinic (Rochester Minnesota) and Stanford University Hospital (Palo Alto, USA). Her current studies aim to elucidate the mechanisms linking hypertensive disorders of pregnancy to cardiovascular disease, educate women and healthcare workers and institute mechanism to attenuate that risk. Philayrath specialises in behavioural science and researches on how public health innovations can use behaviour change techniques in designing effective interventions to achieve sustained behaviour change. Her recent work includes the use of RCTs and quasi-experimental study designs to evaluate the effectiveness of programs using telephone-based coaching or digital devices for preventing weight gain and promoting physical activity and healthy diets, in general and clinical populations. Gemma Figtree is a Professor in Medicine at the University of Sydney. She co-leads the Cardiovascular Theme for Sydney Health Partners, a NHMRC Advanced Health Research and Translation Centre and is the Chair of the University of Sydney’s multi-disciplinary Cardiovascular Initiative. Gemma completed her DPhil at Oxford University in 2002 supported by a Rhodes Scholarship making fundamental discoveries regarding estrogen’s actions in the cardiovascular system. She is committed to improving the care for heart attack patients- using her knowledge of molecular and cellular biology to develop methods of identifying those at highest risk of adverse outcome, and discovering novel therapies to prevent and treat events, inspired by her clinical work as an interventional cardiologist. She has dedicated herself throughout her career to unravelling key differences in susceptibility and response to heart attack in women, with studies extending from the bench to clinical trials. Discoveries in her Laboratory have been published in leading journals Circulation, European Heart Journal, and FRBM, with > 130 publications. GF is a principal investigator on grants >$7 mill. Having recently completed a co-funded NHMRC CDF and Heart Foundation Future Leader Fellowship, she has been awarded a National Health and Medical Research Council (NHMRC) Excellence Award for Top Ranked Practitioner Fellow (Australia), commencing in 2018. She is committed to the advancement of her field and serves as a member of the Editorial Board of leading international cardiovascular journals Circulation and Cardiovascular Research, as well as being a founding editorial board member for Redox Biology, and an Associate Editor for Heart, Lung and Circulation. Her research and clinical perspective and leadership are recognised by her membership of the Scientific Board of Cardiac Society of Australia and New Zealand (responsible for International Relations), and her appointment to the Expert Advisory Panel for NHMRC Structural Review of Grants Program (2016-17), and as well as the Clinical Issues Committee of the Heart Foundation. 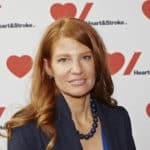 She is committed to the promotion and advocacy of cardiovascular research, working with the ACvA and the Federal government to secure strategic funding for the Mission for Cardiovascular Health. She is a graduate of the Australian Institute of Company Directors and serves/has served as a non-executive Director on multiple community Boards. AJ is of Wiradjuri / Wotjobulak Aboriginal descent with ties to Wellington in New South Wales, and to Dimboola, Victoria. AJ grew up on Daruk and Eora lands in Sydney, before moving to the northern NSW to the land of the Bundjalung. He now lives in Melbourne on the land of the Wurrundjeri. AJ has been delivering cultural awareness training Australia-wide since 2008. He is an accredited MHFA Instructor who has facilitated over 450 MHFA course nationally. In 2012, he won the NSW Mental Health Matters Award for ‘Indigenous social and emotional well-being’, and in 2015 was awarded the Victorian Indigenous Emerging Leader Award for his work in Aboriginal health, mental health & suicide prevention. AJ’s is the Director and Founder of Girraway Ganyi Consultancy. His previous work includes being the National Aboriginal Program Manager at Mental Health First Aid (2012-2015), Senior Educator at VACCHO (2010-2012), Diversity Officer at RMIT University & Victoria Police (2008-2010), Aboriginal Employment Manager at RMIT University & Museum Victoria (2006 -2007) and work at Victoria University as Disability Liaison Manager, Career Counsellor & Student Affairs Advisor (1999-2006). He has also worked in a number of hospitals, government departments and community health settings as both a nurse and social worker. AJ currently works across Australia, travelling to rural and remote Aboriginal communities doing mental health & resilience workshops. He continues to deliver cultural awareness training wherever needed and contracted. AJ also facilitates mentoring programs at three private Melbourne based schools, and in four health organisations. He is positioned on numerous national sub-committees such as the National Heart Foundation’s Light-house Project, and is on the AASW Reconciliation Task-force. He is also a highly regarded speaker of Aboriginal culture and presents at conferences nationally.